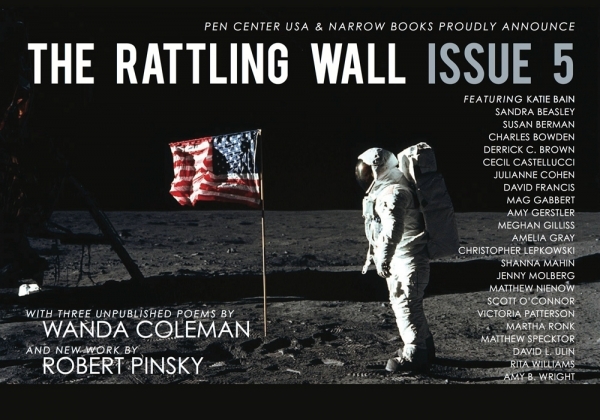 On Wednesday, September 9, 2015, PEN Center USA and Narrow Books will present The Rattling Wall, Issue 5, at Skylight Books (1818 N Vermont Ave, Los Angeles, California 90027). The reading will begin at 7:30 PM and will feature contributors David Ulin, Cecil Castellucci, Rita Williams, David Francis, Julianne Ortale, and Susan Berman. Come & celebrate! 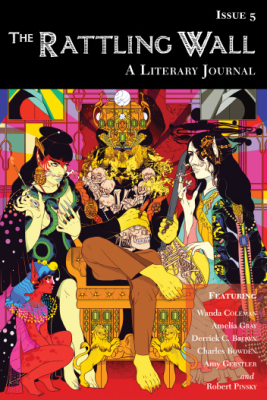 The Rattling Wall, Issue 5, includes new work by artist Kristina Collantes. The journal is published by Narrow Books and funded by PEN Center USA. JOIN US and RSVP here. 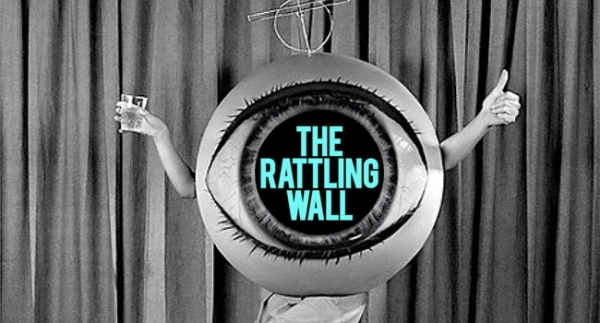 On Thursday, August 13, 2015, PEN Center USA and Narrow Books will present The Rattling Wall, Issue 5, at Stories Books and Cafe (1716 W Sunset Blvd, Los Angeles, California 90026). The reading will begin at 7:30 PM and will feature contributors Scott O’Connor, Christopher Lepkowski, Matthew Specktor, & Katie Bain. Come & celebrate! Wednesday, July 29, PEN Center USA and Narrow Books will present The Rattling Wall, Issue 5: Reading & Release at The Hotel Figueroa (939 S Figueroa St, Los Angeles, California 90015). The event is free. RSVP Now! Doors will open at 7:30 PM; the reading will begin at 8 PM and will feature contributors Derrick C. Brown, Shanna Mahin, Katie Bain, Amelia Gray, and Rita Williams. Plus, Will Alexander, Douglas Kearney, and Dr. Ashaki Jackson reading Wanda Coleman. Narrow Books is proud to introduce the featured artist for Issue 5 of The Rattling Wall, Kristina Collantes. Kristina Collantes was born in Cabiao Nueva Ecija, Philippines, in 1987. She currently lives and works as a full-time illustrator in Los Angeles, California. Her work has been featured in The New Yorker, The New York Times, Juxtapoz Magazine, HiFructose Magazine, and elsewhere. Collantes has collaborated with PlayStation, Visa, MasterCard, GQ Magazine, Comedy Central, and The Flaming Lips. She currently works as an inker and colorist for Image Comics. Kristina loves creating colorful Martian worlds through traditional and digital mediums and, despite being an island girl, really hates sunlight. Narrow Books is proud to present the slate for The Rattling Wall, Issue 5, with three unpublished poems by Wanda Coleman, new work by Robert Pinsky, and many more! | Comments Off on KEN GARDUNO: The Art of The Rattling Wall! Please join PEN Center USA and Narrow Books for KEN GARDUNO: The Art of THE RATTLING WALL. Ken Garduno was born and raised in Los Angeles and graduated with honors in illustration from Art Center College of Design in Pasadena. His work has been featured in many commercial projects, including album covers, T-shirt designs, and publications from the Penguin Group, L.A. Weekly, and the Village Voice. He has exhibited in solo and group shows at LeBasse Projects, WWA Gallery, Cella Gallery, Gallery 1988, and elsewhere. He is known for his portraits of lusty women, extraterrestrial beings, and otherworldly vistas. Gouache and ink are his favorite mediums to work with. He illustrates at his studio near downtown Los Angeles. For the fourth issue of The Rattling Wall, Garduno created twenty new illustrations using a variety of brush pens, drawing pens, and sketch markers. 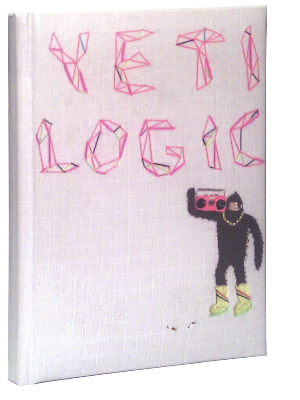 The cover artwork, created specifically for this book, is done in gouache on printmaking paper. Opening night reception! 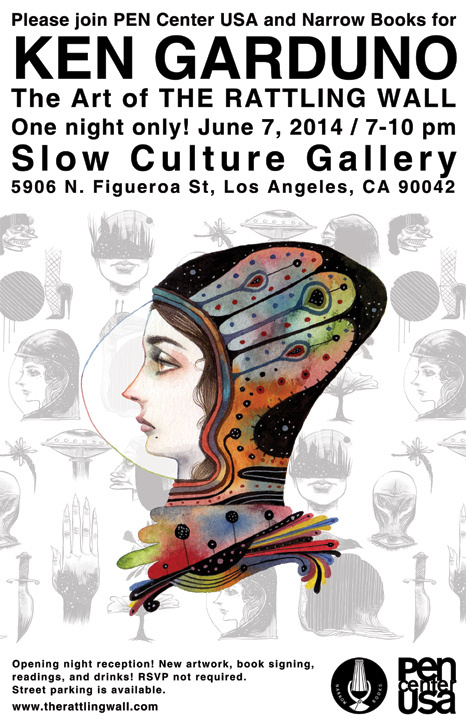 New artwork, book signing, readings, and drinks! RSVP not required, but you may check in with our Facebook invite. Street parking is available; please take note of signs. On March 28, 2014, PEN Center USA and Narrow Books will present The Rattling Wall at San Diego Writers, Ink & Inspirations Gallery (2730 Historic Decatur Rd., Barracks 16, Suites 202 & 204). The reading will begin at 7 PM and will feature contributors Ben Loory, Ruth Nolan, Leah Griesmann, Jeremy Radin, Ron Gutierrez, and Amy Wallen. Michelle Meyering will host the reading. She is the founding editor of The Rattling Wall and Director of Programs and Events at PEN Center USA. 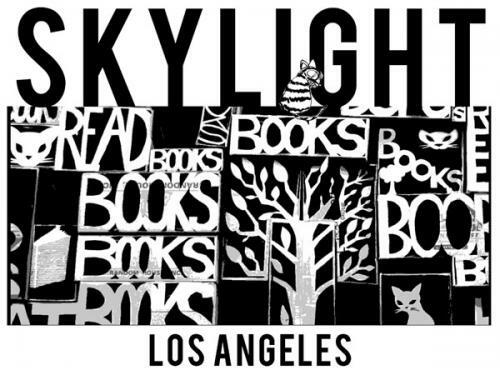 Meyering has produced over 200 literary events across Southern California. She currently teaches in the UCLA Extension Writers’ Program in Los Angeles. The Rattling Wall is published by Narrow Books and funded by PEN Center USA. The Rattling Wall, Issue 4 @ Book Soup! 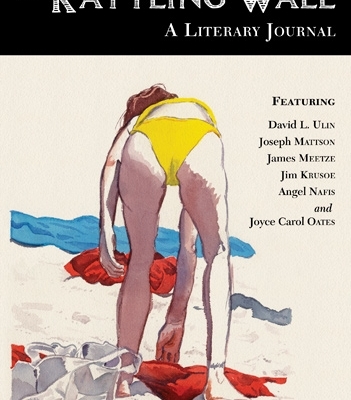 | Comments Off on The Rattling Wall, Issue 4 @ Book Soup! The final stop on The Rattling Wall Issue 4 book tour will be at Book Soup! 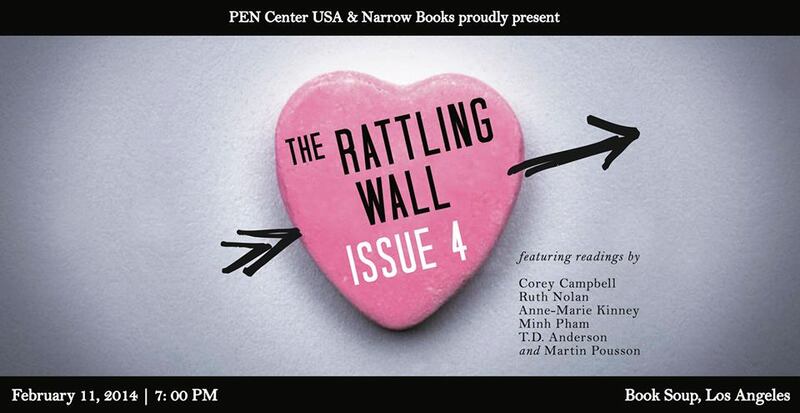 On February 11, 2014, PEN Center USA and Narrow Books will present The Rattling Wall, Issue 4, at Book Soup (8818 Sunset Blvd, Los Angeles, California, 90069). The reading will begin at 7 PM and will feature contributors Corey Campbell, Ruth Nolan, Anne-Marie Kinney, Minh Pham, T.D. Anderson, and Martin Pousson. 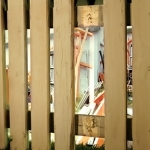 The Rattling Wall, Issue 4, includes new work by artist Ken Garduno. The journal is published by Narrow Books and funded by PEN Center USA. The Rattling Wall, Issue 4 at Skylight Books! 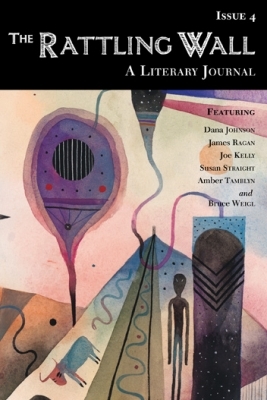 | Comments Off on The Rattling Wall, Issue 4 at Skylight Books! The Rattling Wall continues its book tour this Tuesday, February 4th at Skylight Books! 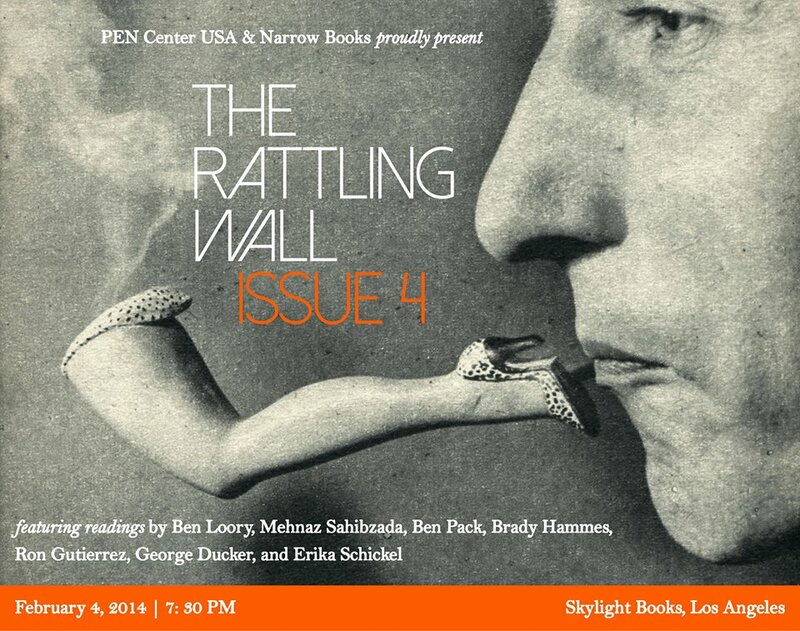 PEN Center USA & Narrow Books proudly present The Rattling Wall, Issue 4, at Skylight Books! Featuring readings by Ben Loory, Mehnaz Sahibzada, Ben Pack, Brady Hammes, Ron Gutierrez, George Ducker, and Erika Schickel. 50% off for the Holidays at Narrow Books! 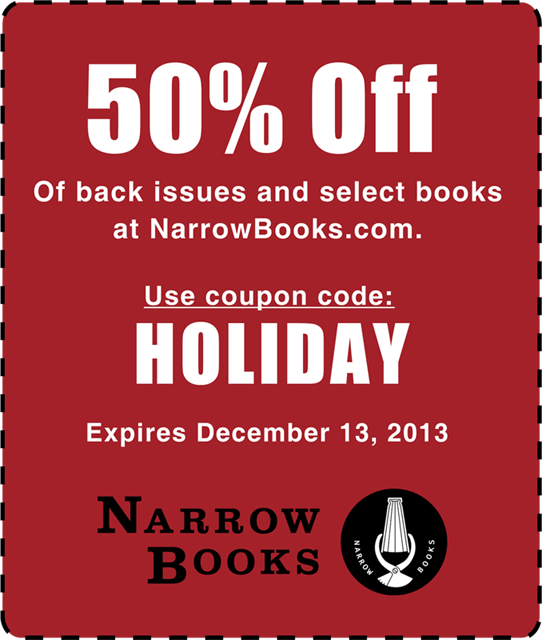 | Comments Off on 50% off for the Holidays at Narrow Books! ‘Tis the season for Narrow Books Holiday discounts! For the 5 days leading up to The Rattling Wall Issue 4 release on December 13th, Narrow Books is excited to announce 50% off Rattling Wall issues and all Narrow Books titles. * Visit our shop to browse! *Discount excludes the “Yeti Logic” limited edition import and Rattling Wall subscriptions, which are already at super-low charter subscriber rates!